The Arkansas Symphony Orchestra, Philip Mann, Music Director and Conductor, presents the final concert of the 2014-2015 Landers FIAT River Rhapsodies Chamber Music Series: Mendelssohn, Mozart, & Brahms. The ASO’s Quapaw and Rockefeller String Quartets and other ASO musicians perform chamber music from Mendelssohn, Mozart, and Brahms on April 21, 2015 at 7:00 PM in the beautiful Great Hall of the Clinton Presidential Center, 1200 President Clinton Ave., Little Rock, AR. A cash bar is open at 6 PM and at intermission, and patrons are invited to carry drinks into the hall. Media sponsor for the Landers FIAT River Rhapsodies Chamber Music Series is KUAR/KLRE. 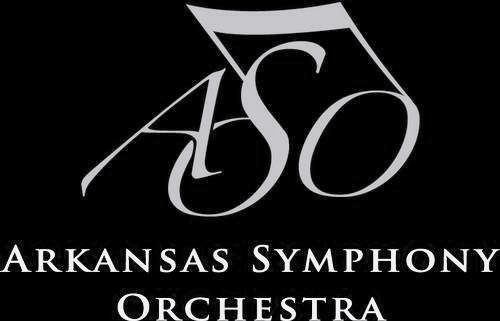 Tickets are $23; active duty military and student tickets are $10 are can be purchased online at www.ArkansasSymphony.org; at the Clinton Presidential Center box office beginning 60 minutes prior to a concert; or by phone at 501-666-1761, ext. 100. The Arkansas Symphony Orchestra celebrates its 49th season in 2014-2015, under the leadership of Music Director Philip Mann. ASO is the resident orchestra of Robinson Center Music Hall, and performs more than sixty concerts each year for more than 165,000 people through its Stella Boyle Smith Masterworks Series, ACXIOM Pops LIVE! Series, Landers FIAT River Rhapsodies Chamber Music Series, and numerous concerts performed around the state of Arkansas, in addition to serving central Arkansas through numerous community outreach programs and bringing live symphonic music education to over 26,000 school children and over 200 schools. This entry was posted in Music and tagged Arkansas Symphony Orchestra, Clinton Presidential Center, Daniel Cline, David Gerstein, Eric Hayward, Felix Mendelssohn, Johannes Brahms, Katherine Reynolds, Katherine WIlliamson, Katrina Weeks, KLRE-KUAR, Meredith Maddox-Hicks, Philip Mann, Quapaw Quartet, River Rhapsodies, Rockefeller Quartet, Trisha McGovern, Wolfgang Amadeus Mozart by Scott. Bookmark the permalink.